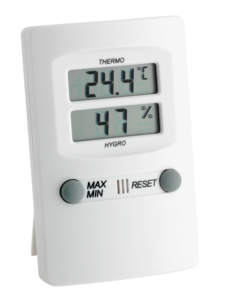 The digital thermo-hygrometer KLIMA GUARD is an ideal measuring instrument for monitoring the indoor climate. 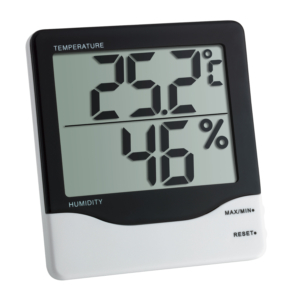 Room temperature and humidity can easily be kept in view and regulated with targeted heating and ventilation. 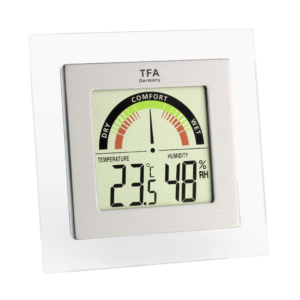 This creates a comfortable and healthy living environment and even saves on heating costs. 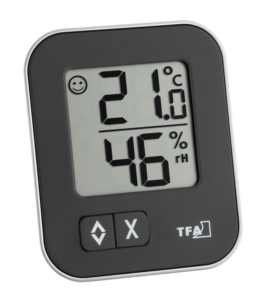 The KLIMA GUARD thermo-hygrometer is equipped with a Swiss precision sensor and displays the temperature and humidity values very precisely. 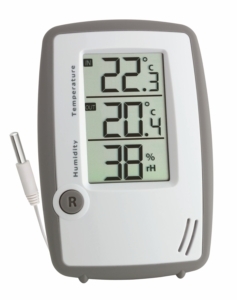 Therefore it’s also ideally suited for professional use, e.g. 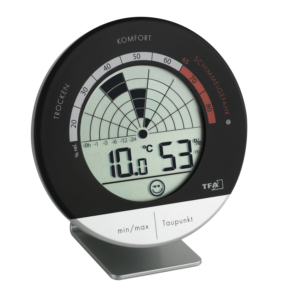 for climate control in storage and test rooms. 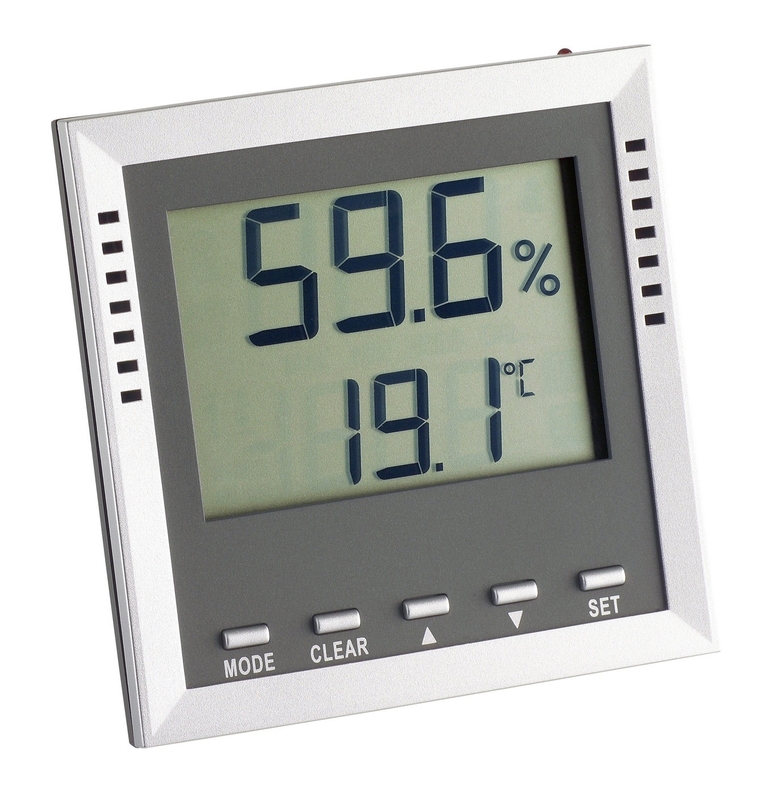 In addition, the unit has various useful special functions such as information on highest and lowest values, dew point, wet bulb temperature and an audible and visual alarm function for all parameters.